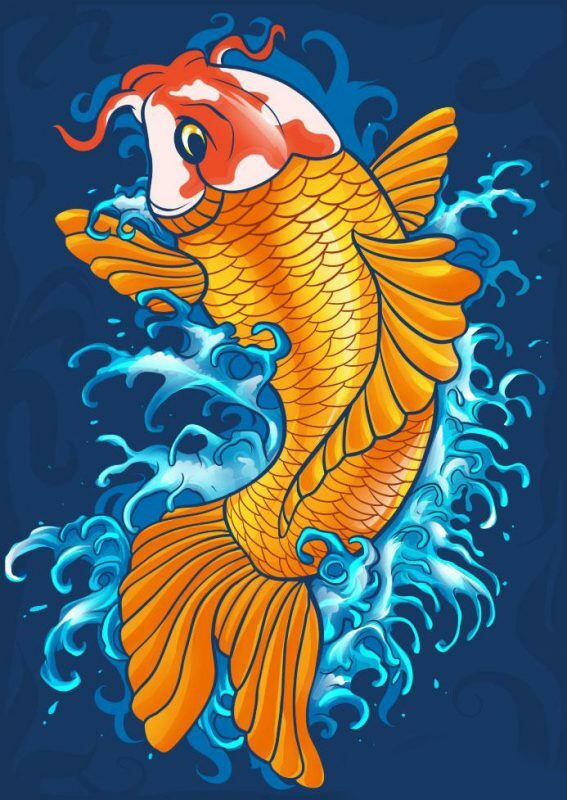 Koi Fish meaning in Japan is good fortune or luck they also are associated with perseverance in adversity and strength of purpose, the Koi fish symbolize good luck, abundance and perseverance. A Koi fish couple are swimming in a circle around the Kanji symbol for “congratulations” (shuku / iwai). Inspired from our Koi Fish pop up card this month, we have been searching for paper art work of this theme that’s easy to recreate. As a pop up card wholesale supplier, Charmpop also invest a lot of effort to our weekly blog! 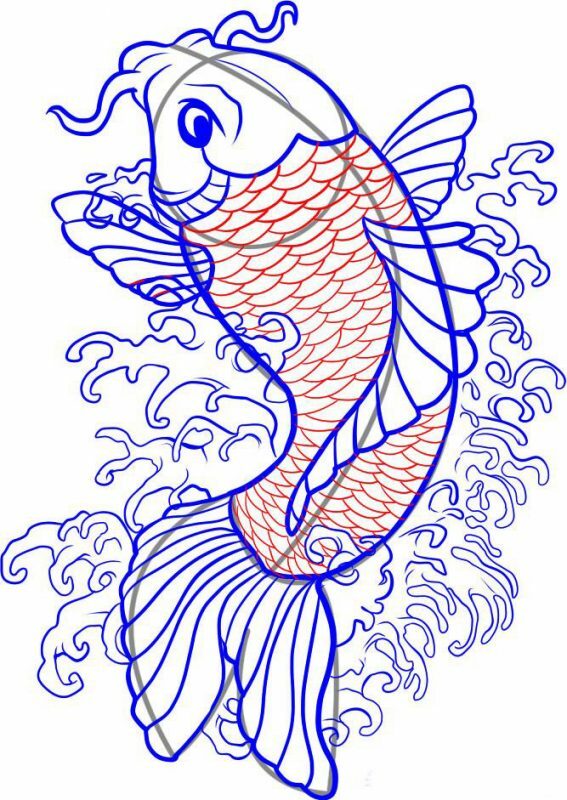 Staytune and enjoy this week’s Koi fish Art work DIY! 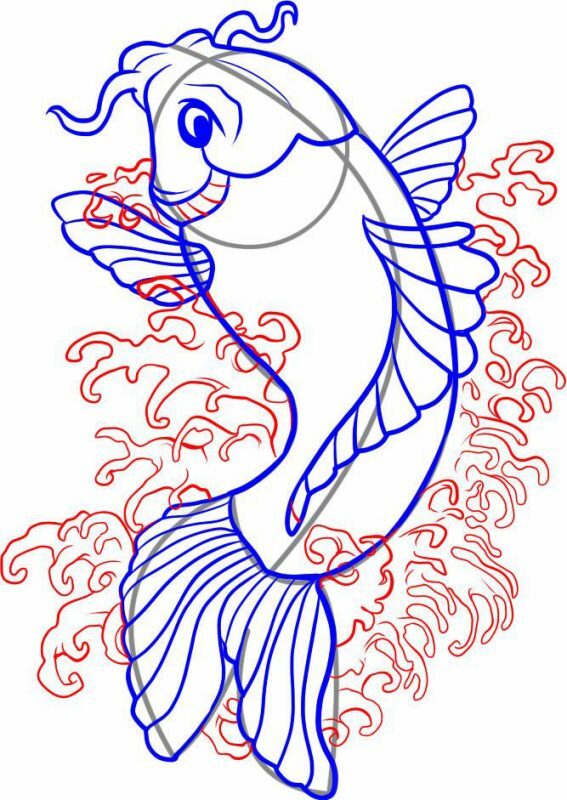 Firstly, start off with the basic guidelines for the koi fish. This is always essential for creating accurate work. Once you’ve completed the guides, move onto the next step. 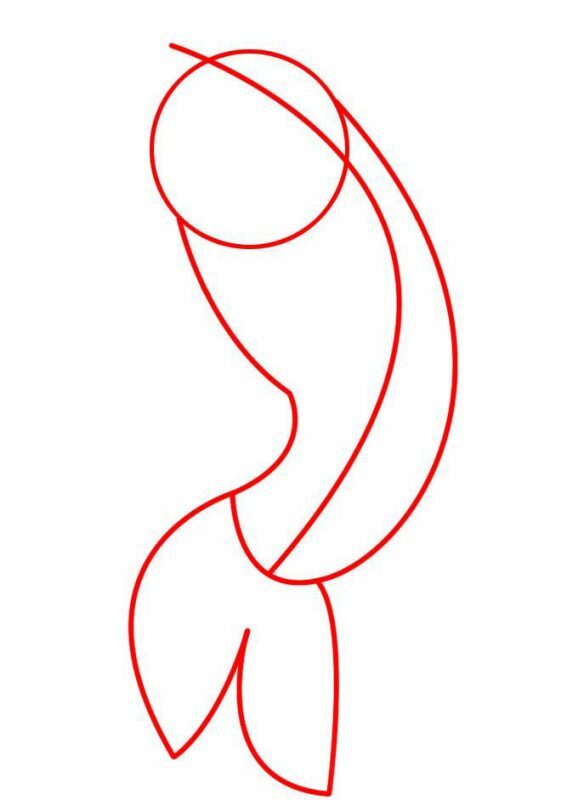 Next, let’s work on the details for the shape of the body. Start with the head first before you move onto other details. Then, we must start shaping up the inner details of the face! Start with the eye first and then the fins. Once you’ve done that, finish off with the back fin and the tail fin. 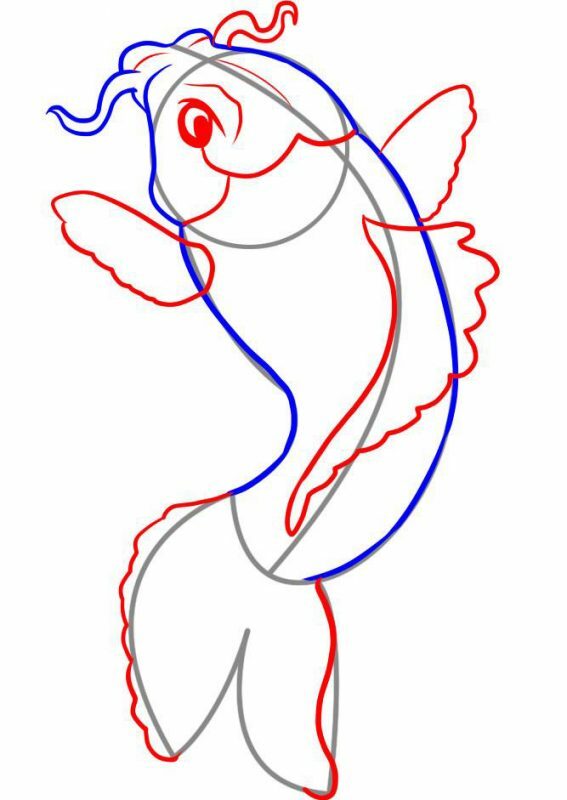 Next, detail the fins with swift curved lines. Separate only the areas that are curved outwards as edges. Then, simply take your time and sketch in the waves. You can possibly style your own type of waves if desired. I would recommend having the waves curl outwards a few inches from the parent wave. Take your time and sketch in scales. Don’t rush when drawing the scales since it can get difficult and sloppy. 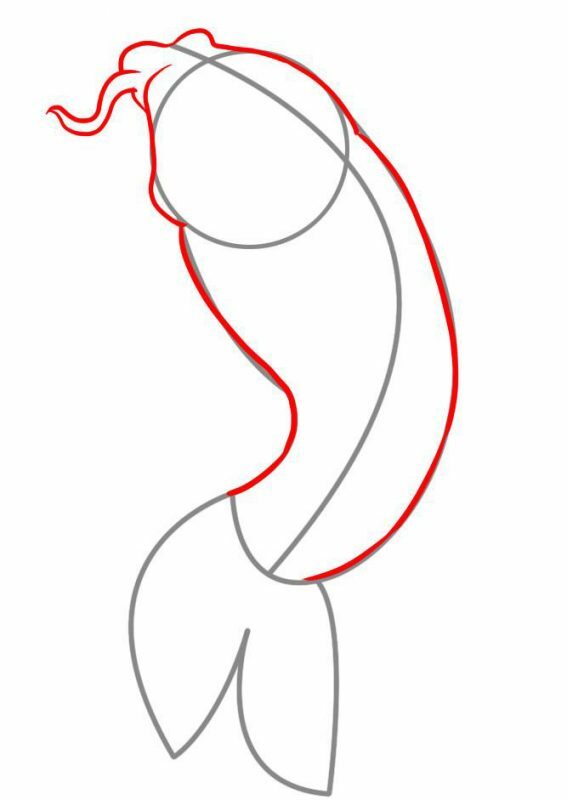 Here is the basic line art of what you should end up with. If you’re not satisfied with what you’ve drawn, keep practicing until you get it right! Thanks for viewing this tutorial folks! Look quite complicated for an amateur like me. But I’ll give it a try. Great tutorial and great pop up card too. 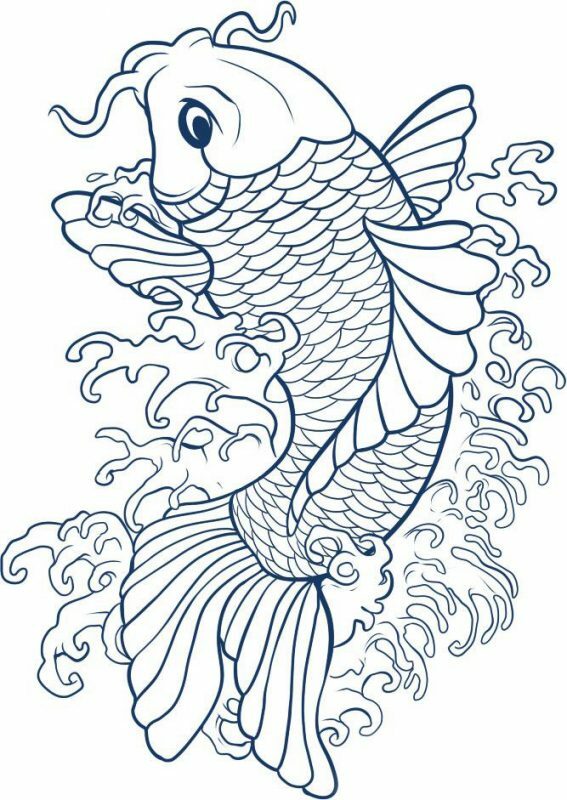 Hey Buddy!, I found this information for you: "Koi Fish Art Tutorial – pop up Koi fish greeting cards". 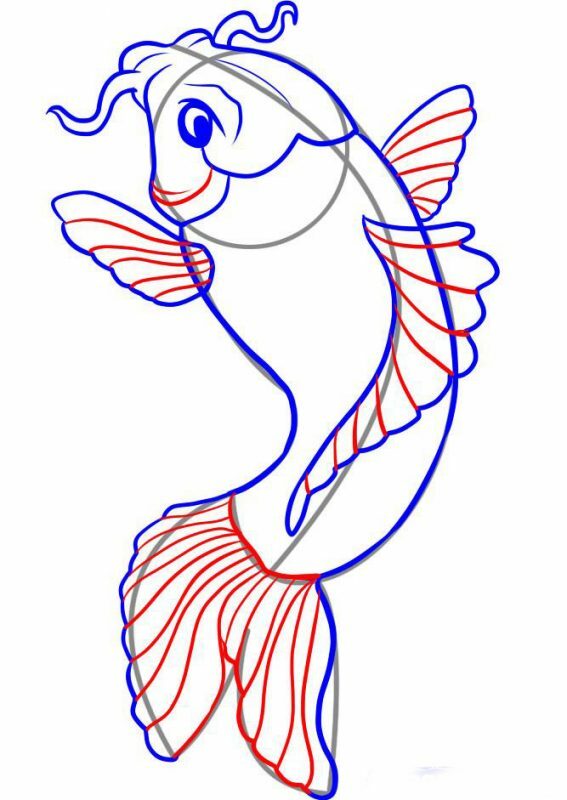 Here is the website link: https://charmpopcards.com/koi-fish-art-tutorial.html. Thank you.